Fivecat Studio Architecture launched in 1999, and Mark discovered a book that changed the way he viewed business. It helped him realize that running a successful architecture firm required so much more than designing great architecture. Inside the owner of every small firm exists a battle among the entrepreneur, the manager and the technician. If we don’t attend to the needs of each one, our firms are destined for failure. This week on EntreArchitect Podcast, The E-Myth Revisited: Why Every Small Firm Architect Should Read This Book. The E-Myth Revisited: Why Most Small Businesses Don’t Work and What to Do About It by Michael E. Gerber inspired Mark to build Fivecat Studio Architecture as a franchise prototype. Even though they knew selling their business systems as a franchise was never a goal, it was still important. Those systems have allowed them to thrive and have given them the tools needed to balance the requirements of the firm with the responsibilities of their family. This book inspired Mark to work on his business rather than in his business. Since 1999, Mark and Annmarie have experienced the startup pains of infancy, the hard-earned successes of adolescence, and the launch of a new virtual business model. Have YOU done that? How many architects do you know who have launched their own firms with the goal to do it better than the firms they worked for? As architects, our first thought of having a system is negative. What if it takes away or limits creativity? In fact, systems do just the opposite. First, build the business, then you’ll have more time and more flexility to be the architect you want to be. Who among us can say that we do things as well as McDonald’s does? Do you want to build a successful small business? Gerber leads readers through a fully-developed business development program, a how-to guide for success. The E-Myth Revisited is not only your guide to success, but it’s entertaining as well. Why is this Mark’s favorite business book? If you take action to implement the lessons that Gerber teaches, The E-Myth Revisited will take your firm to places you’ve never imagined. Read through the book and go through the process of creating a master plan for your life. 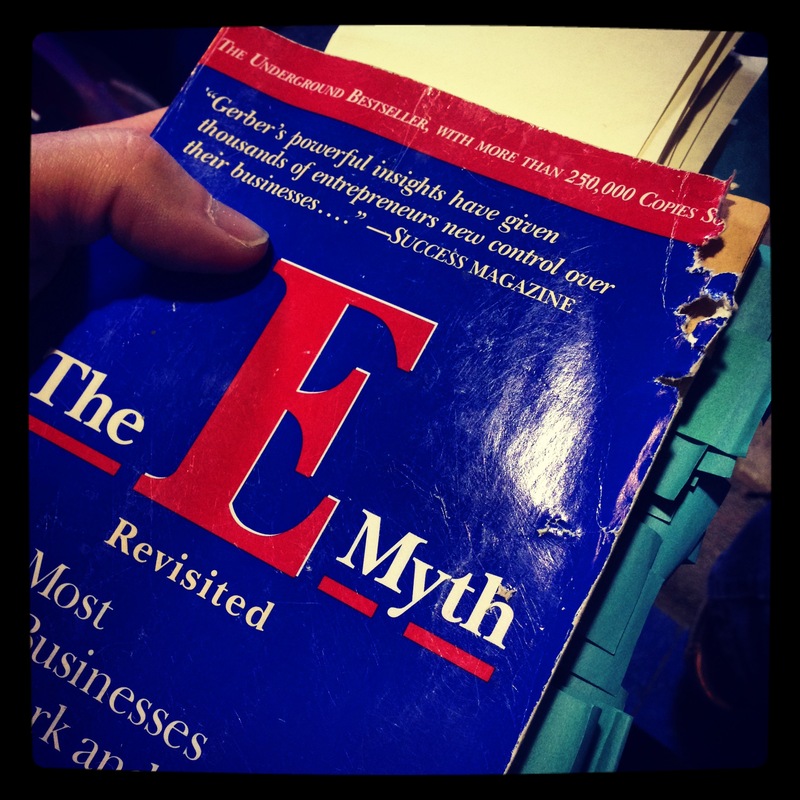 I read the E-Myth “Architect”, which brought incredible value to our business. Not sure how much overlap there is between E-Myth “Revised” & “Architect”….thoughts? I’ve read both Andre, I recommend reading the E-Myth Revisited before moving on to the E-Myth Architect. If you have already read Norbert’s book, I suggest you do still read the original. Well worth you time. Will purchase it soon – thanks!